Gender is high on the Cannes Lions agenda because a culture-change driven by marketing messaging is needed, according to Senta Slingerland, brand strategy director at Lions Festivals. For 62 years, Cannes Lions has celebrated creativity – first in TV advertising, then also in print, media and online brand messaging; now also in design, PR and innovation. The Lion is a benchmark of creative excellence – something which we think is critical in propelling the quality of the work forward. By showing what’s possible, we hope to encourage brands to be brave, to experiment and to want to do work that inspires customers to think and behave differently. It’s also our belief that marketing – as well as film, music, entertainment – shapes culture and heavily influences the way people see themselves, and each other. According to a study by the Geena Davis Institute, the more hours of television a girl watches, the fewer options she believes she has in life. And the more hours a boy watches, the more sexist his views become. For over three decades, women have earned more than 50% of college degrees in much of the developed world. Yet a significant gender gap in leadership roles across all territories remains. Of 200 countries, only 17 are led by women and not one has more than 11% of its top companies run by women. Although women make around 80% purchasing decisions in the world, 91% of women feel like advertisers don’t understand them. A change in policy alone will not close the gap. An example Sheryl Sandberg often gives publicly is that even in Norway, which has some of the world’s most progressive policies, women run only 3% of the top companies. A change in culture is needed – a culture shaped by our marketing messages. Women and girls are eager to see messaging that presents them in a realistic and empowering fashion – when this is delivered, the cultural and economic impact is significant. But the work coming out of agencies is still more reflective of a male view of the world than of reality. At a grassroots level, affecting change begins with addressing the culture within the creative agencies where those messages originate. Whether it stands at 3%, 10% or even 15%, women are still severely underrepresented in creative departments. Creative women exist – at the start of a female creative’s career, they make up pretty much 50% of their peer group. But, as they climb the professional ladder, they tend to drop off at higher speed than men do. One of the reasons is the lack of advocacy and visibility. This is why Cannes Lions launched the ‘See It Be It initiative last year: a programme at the Festival for creative 12 women from around the world, who are not quite at CD level yet. They experience a programme no one else gets to have: back-stage access, meet & greets, jury room tours and mentorship. Three days that are meant to reset, inspire, accelerate, excite and motivate them to act as role models for the upcoming generation. The group is selected from well over 200 nominations by agency leaders – all of whom have had to think about the female creative talent in their agency and how they are nurturing them. That exercise alone is impactful to draw attention to the diversity gap. On the back of this 2014 launch, Facebook COO and LeanIn.Org Founder Sheryl Sandberg approached us with the idea to celebrate the work that actively tried to shatter gender stereotypes in advertising. 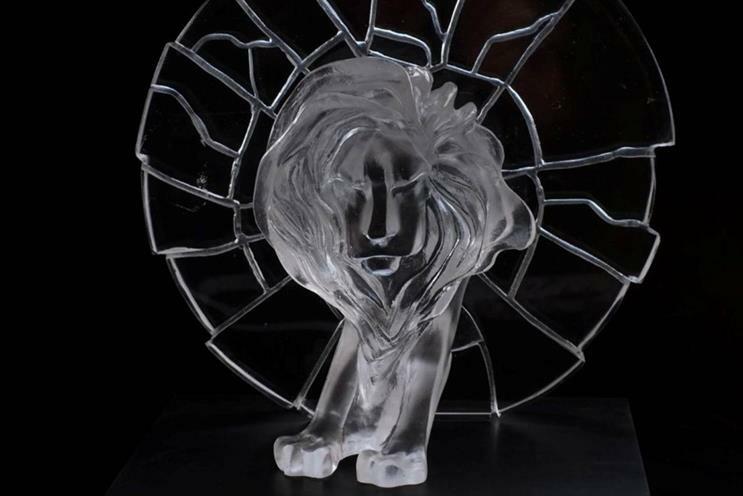 The Glass Lion: the Lion for Change was born, and in its first year has had 166 entries that all, in some way, confront prejudice and inequality by representing the gendering of people in a progressive or socially conscious way. Jury President Cindy Gallop and her panel will choose the pieces that we hope will become icons in the fight against the status quo. 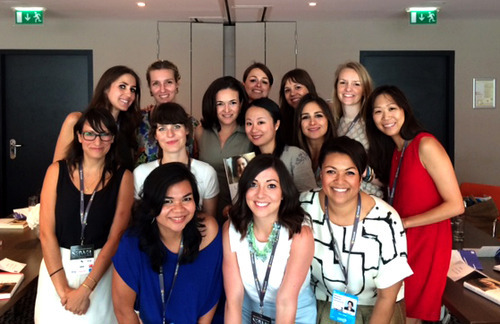 You will find the ‘woman’s voice’ throughout the Cannes Lions Festival progamme. Sessions dedicated to these issues include Jefferson Hack from Dazed in conversation with Samantha Morton about the lack of female directors in Hollywood; Ogilvy & Mather’s session with Monica Lewinsky; A&E Network’s ‘Marketing to women in the fourth wave of feminism’ forum; Venus Comms’s session on the business case for marketing to women; the United Nations Foundation talk at Lions Health about solutions for saving women’s lives; and the Unruly talk about tackling the gender gap in tech at Lions Innovation. The See It Be Forum panel ‘Diversify or Die’ will also discuss the inaugural Glass Lions winners. We hope that our two initiatives, See It Be It and The Glass Lion, will re-inspire creatives about working in this industry because of the impact they can have on ensuring we create a culture we all feel happy living and working in. Make your vote count: what's your favourite TV ad of all time?